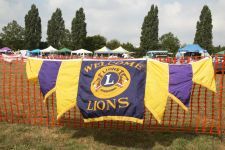 Welcome to the Bracknell Forest Lions Club website! If you are new to Lionism, through these pages you will be able to find out about the work of the international organisation of Lions and our Lions Club in particular. If you are a Lion, and perhaps planning to visit our area, we hope that the information on our website will encourage you to visit our club or one of our events. 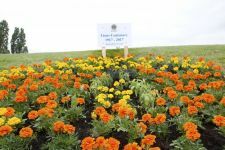 Don't forget to visit our facebook page: https://www.facebook.com/Bracknellforestlions/ for up to date information too. 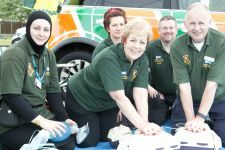 We're a group from the local area who have come together to help others, as part of a wider national and international organisation. We all live in or near the brilliant town of Bracknell, and our proud to be members of the local community here. 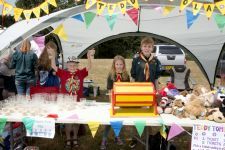 Bracknell Forest Lions is currently a club with a membership of 19 people, and we are working hard to raise funds to help local, national and international charities and good causes. Take a look at the meet the club and message from our president links on the left to find out more about us. In 2018 we won "team of the year" in the Pride of Bracknell Awards- see the video below in which we feature! There are a number of ways in which you can support us- by attending our events, donating money, unwanted (new unused) gifts for our raffles and tombolas, coming along to help out with activities and events or even just spreading the word about who we are and what we do! We have recently signed up to Easy Fundraising where you can support us whilst doing your online shopping without it costing you a penny! 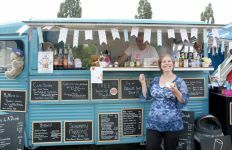 Head on over to the Bracknell Lions Easy Fundraising page today to set yourself up! Below is some information about what we've been up to recently! 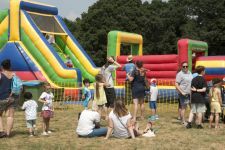 Our biggest event is the Bracknell Show which is a huge family event every July. For more information, please visit the Bracknell Show pages. Below is a little information about what we've been up to over the last 8 years since we set up this website- though the club have been running for 50 years! Laid a wreath at the Remembrance Sunday service. Donated Over £200 to the Nepal Earthquake fund after a last-minute tin-shake in Bracknell which raised over half that money. 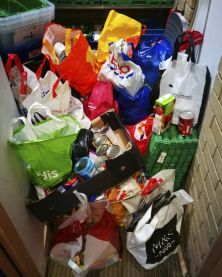 Raised £625 (plus!) by taking part in Maidenhead Lions Fundrun! Donated £50 to the Bracknell Forest Mayors Charity, Thames Valley and Chiltern Air Ambulance. Raised £217 at Wokingham Winter Carnival which we're looking forwards to giving out to local charities in need! Raised over £1000 for the Alexander Devine Trust by one club member Abseiling the Reading Blade! Donated money to Frimley Hospital's Heart 2 Heart appeal towards the building of a new "Heart Attack Center"
Please click on the links above if you'd like to visit the websites of all the organisations we've worked with and raised money for.